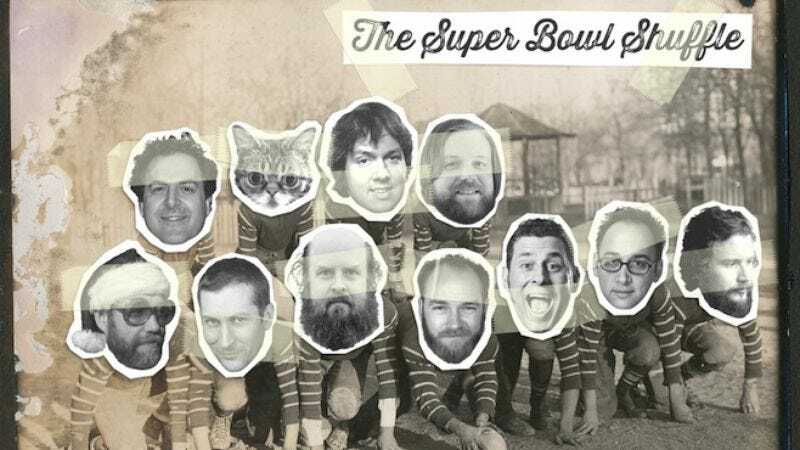 Jim James, Lil Bub, Scott Aukerman, David Wain and more have teamed up and recorded a version of hit 1985 single “The Super Bowl Shuffle” for charity. The updated take on the Chicago Bears’ classic also features contributions from Tom Scharpling, Les Savy Fav’s Tim Harrington, Kyle Kinane, Dave Hill, Man Man’s Honus Honus, The Long Winters’ John Roderick, and wrestler Colt Cabana. The wacky track was put together by Sean Cannon, a staffer at Louisville radio station WFPK, and proceeds from the sales of both digital downloads and a limited edition 7-inch will benefit literacy charity Reading Is Fundamental. The track is available to stream for free below—but kick Cannon and company at least a buck or something. It’s for the kids, man.